Charukesi Ramadurai is a freelance journalist and author from India, whose byline has appeared in The New York Times, South China Morning Post, The Guardian, City Lab, Roads & Kingdoms, NPR, Atlas Obscura, The National, Silverkris (Singapore Airlines), Independent, The Wall Street Journal and Khaleej Times among others. She also writes regularly for several Indian publications like Mint, Outlook Traveller, Conde Nast Traveller, Economic Times, Forbes, Business Line, The Hindu, National Geographic Traveller, Travel + Leisure, Deccan Herald, Indian Express, Harper’s Bazaar and Jet Wings. She has been a blogger for The New York Times and The Wall Street Journal, and is a columnist for the South China Morning Post. In 2015, she was invited to speak at a TedX event in Bengaluru, where she shared her own travel experiences and spoke about fulfilling one’s travel dreams. Her recent book, Everything you wanted to know about freelance journalism (but didn’t know whom to ask), has been called “a bible for freelance writers everywhere” by a popular reviewer. 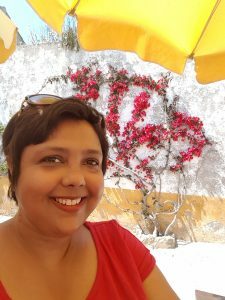 Charukesi writes on travel, food, books, arts and culture, gender and development issues and the joys of social media and networking. In her spare time, she writes blog posts, to-do lists and facebook updates. She has a University rank in her basic degree in Economics and postgraduate degrees from MICA (Marketing Communications) and the LSE (Social Research and Social Psychology). However, she has not let any of this interfere with her education. Mark Twain would approve. Read more about her. Or, if you are convinced already, contact her now with interesting writing assignments.